The WordPress version comes with a custom ajax powered admin panel, from where you can setup the theme and his features. You can customize the home navigation menu, adding and editing the icons and the numbers of pages to display. Also you can create blog pages, photo galleries, portfolio sections with flexible images and videos. Using the allready 12 smart editor shortcodes you can manage your content easily. 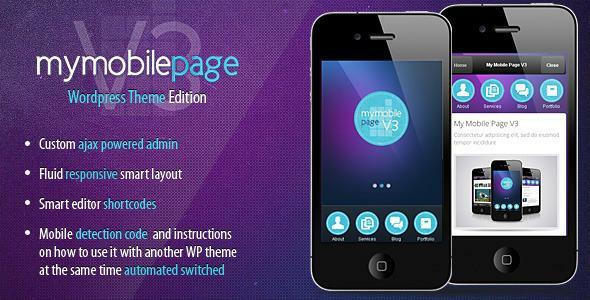 Share the post "My Mobile Page V3 WordPress Theme"